When we were planning Voxivo, we threw away the rule book and started from a clean slate. The Internet Telephony Services Providers Association (ITSPA) has announced that the winner of the 2018 award for Best VoIP Software is Foehn, the business communications developer, for their latest cloud phone system Voxivo. The category is one of four additions to this year’s awards, reflecting the popularity and highly competitive nature of the award entries. 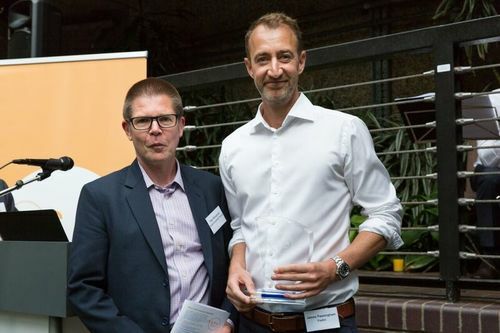 The award recognises Voxivo’s innovative approach to cloud phone system design, where simple and intuitive features enable both IT and business employees to take greater control of system management and configuration. In this way, businesses can reduce the cost and reliance on third party technicians, as well as providing a more pleasurable user experience and better engagement with new features by employees. “When we were planning Voxivo, we threw away the rule book and started from a clean slate." We are an award-winning provider of cloud communications technology, delivering cloud phone systems and contact centres to the private and public sectors since 2000. We are innovative, flexible and passionate about Open Source technology. This enables us to provide solutions that are more feature rich, easily integrated and cheaper than proprietary platforms. Our solutions are delivered from start to finish by our team of highly experienced engineers with 24/7/365 support. We are totally transparent with our pricing, with no hidden costs, and offer more features for the money than any other UK provider. ITSPA is a UK membership-led organisation that represents companies who provide or resell business and residential customers voice services over data networks (VoIP) as well as other “over the top” applications including instant messaging and video. The membership is a mixture of network operators, service providers, resellers, suppliers and consultants involved in a sector that is diversifying rapidly from just voice services to other innovative IP applications. This press release was distributed by ResponseSource Press Release Wire on behalf of Kanehythe in the following categories: Consumer Technology, Business & Finance, Computing & Telecoms, for more information visit https://pressreleasewire.responsesource.com/about.